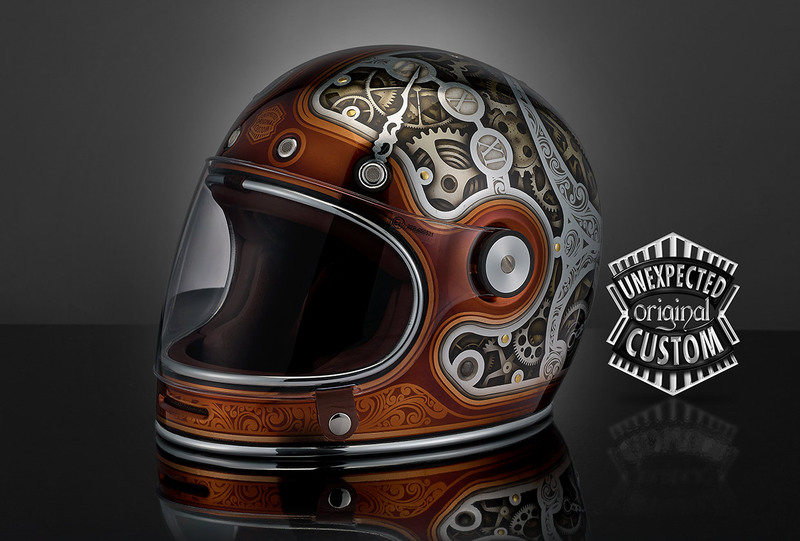 the Steampunk no. 2 design is characterized by a play of gears, mechanical devices, toothed wheels, historiated quadrants and small elements of watchmaking. 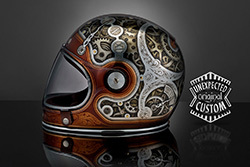 With their mutual rotation and rhythmic joints offer a vision that,thanks to their overlapping in the optical areas who remember the cases of elegant pocket watches of the past century, give to this design the connotation of great richness and aesthetic refinement. 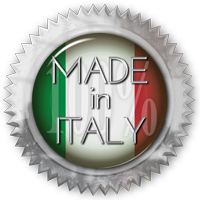 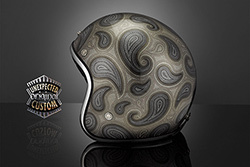 The helmet's lid is entirely covered by the silver leaf lamination on which the design, made with our special colors for glass, offers rich tones and reflections fullness. 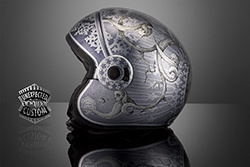 The light reflected on the thin metallic silver leaves and creates a suggestive aesthetic characterized by a extremely elegant richness. 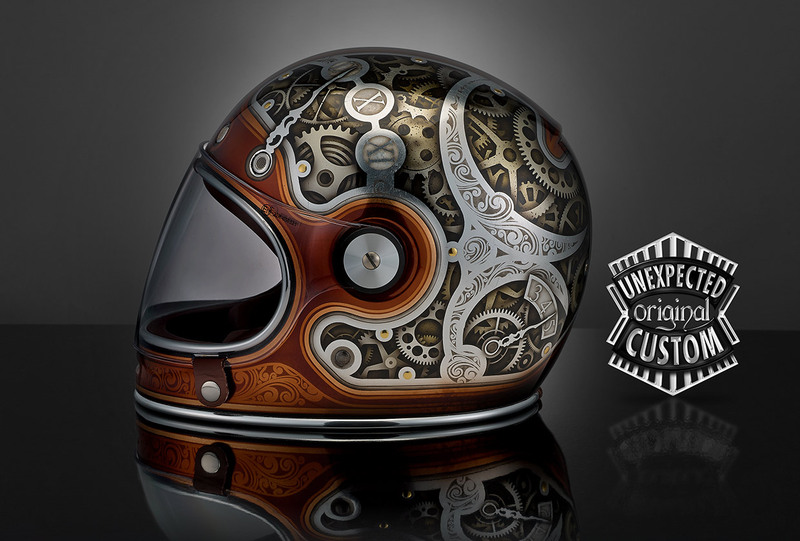 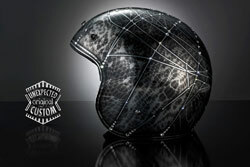 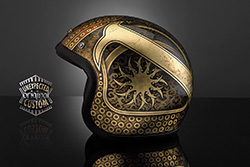 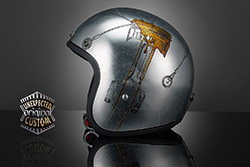 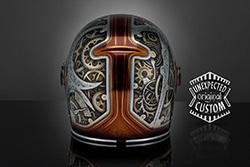 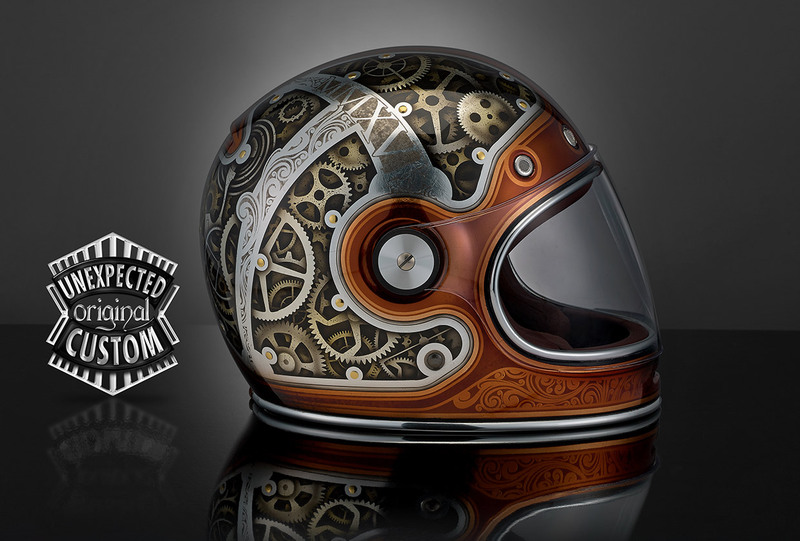 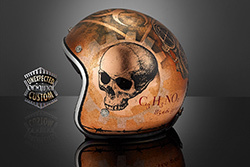 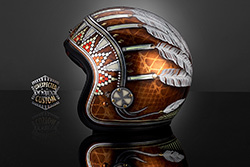 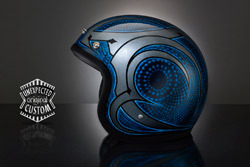 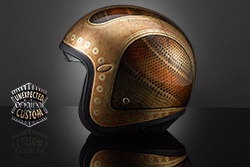 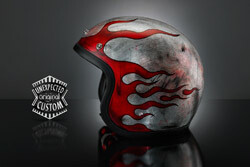 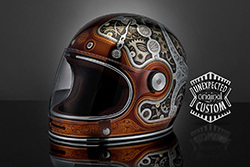 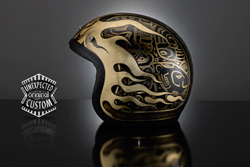 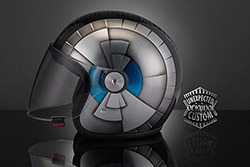 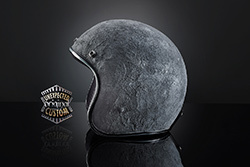 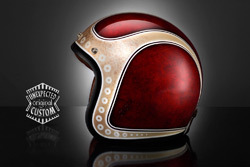 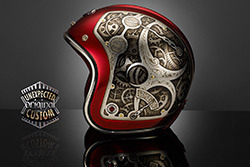 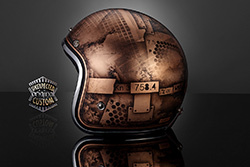 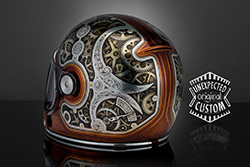 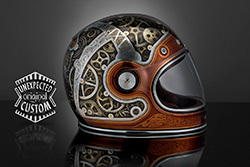 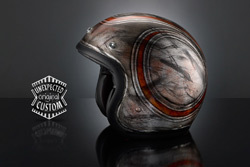 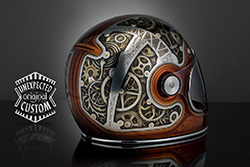 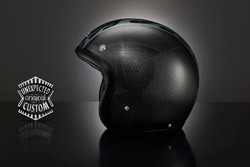 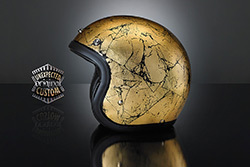 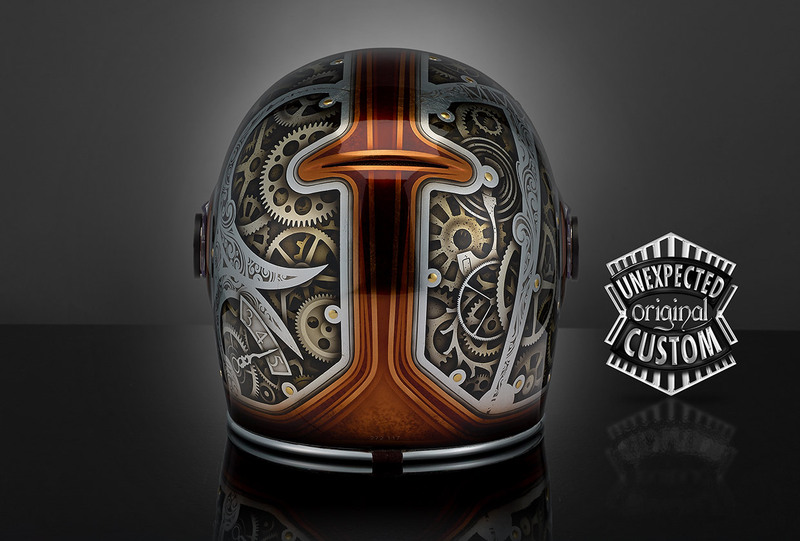 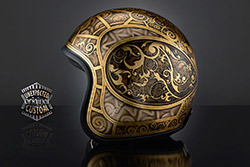 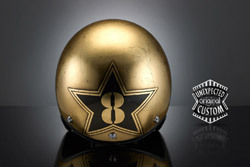 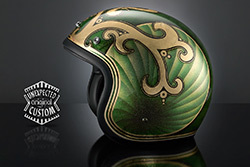 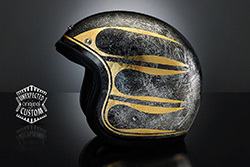 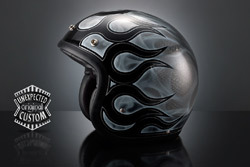 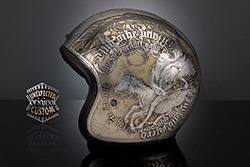 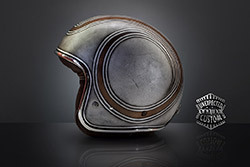 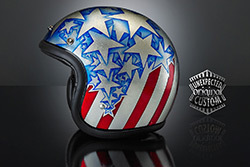 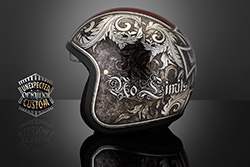 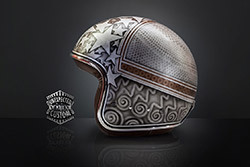 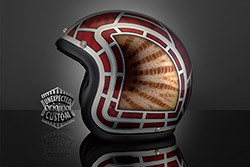 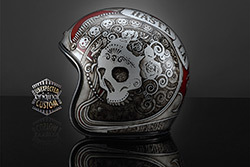 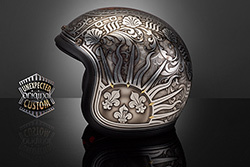 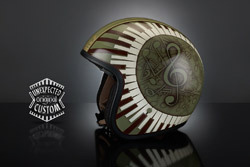 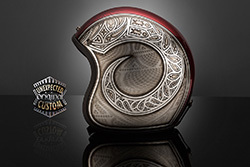 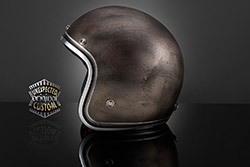 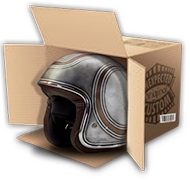 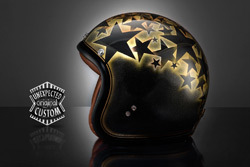 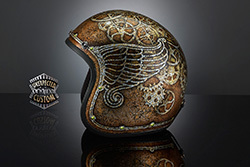 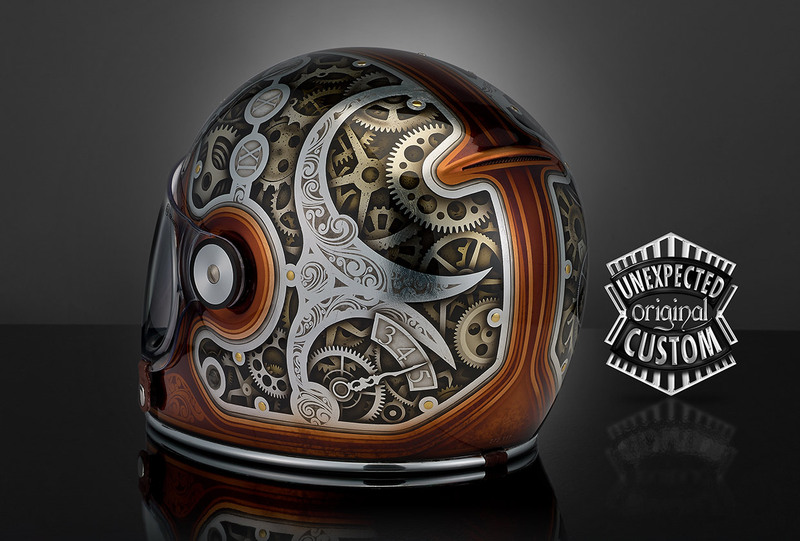 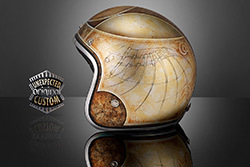 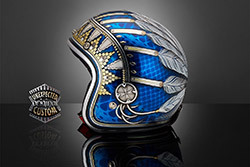 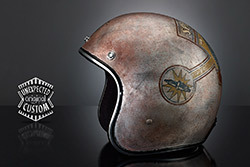 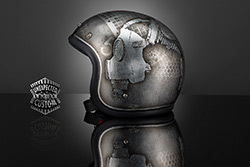 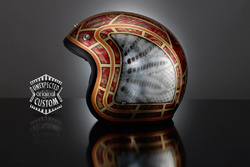 The artistic composition is enriched with original Swarovski studs that complete and enhance the achievement of this unique refined, exclusive and extremely luxurious helmet. 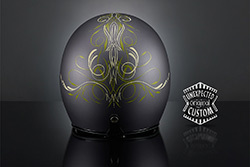 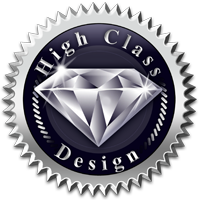 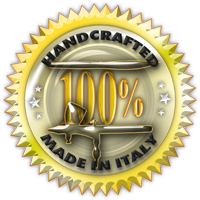 Silver leaf, airbrush, special glass colors, Swarovski sutds.